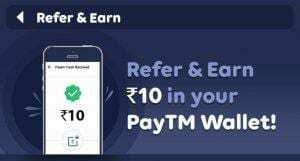 Zupee App Refer & Earn – Zupee App is offering Rs.10 PayTM Cash For Referring Friends to Install the Zupee App. 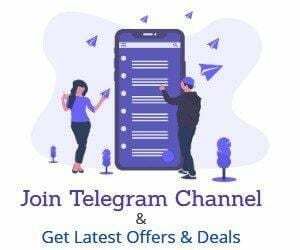 This app is the same as other Play apps & You can earn Rs.10 per Referral. Just Download The App & Install it to Get Rs.10 Bonus Redeem Instantly to Your PayTM Wallet. Now Click On Menu Button & Refer & earn from here. You will get Rs.10 in your wallet instantly. 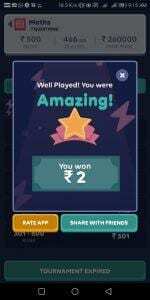 Now play any quiz to earn more paytm cash. 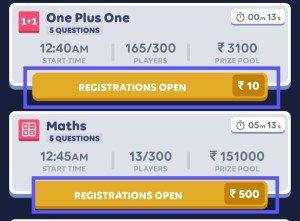 New Quiz Start Every New 5 Minutes. On Home Page Join any Quiz with Your Free 3 Tickets. Click on Register Button & Confirm Your Joining. Once You Play A Quiz. You Can Earn PayTM cash. Now Visit Refer & Earn Section & Copy Your Referral Code. Now Ask Your Friends to enter Your referral code. Once Your Friend Enter Referral Code. You, Will, Get Rs.10 in Your Wallet. Visit My Profile Section to Link Your PayTM Number.